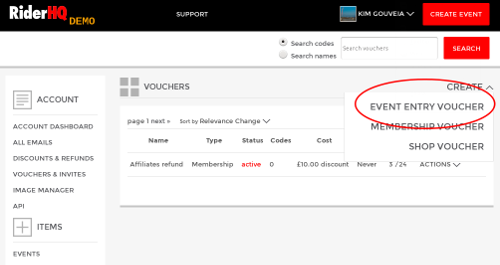 Now you can sell vouchers for entry to your events directly from RiderHQ - an easy way to let people buy an entry for someone else as a Christmas present. 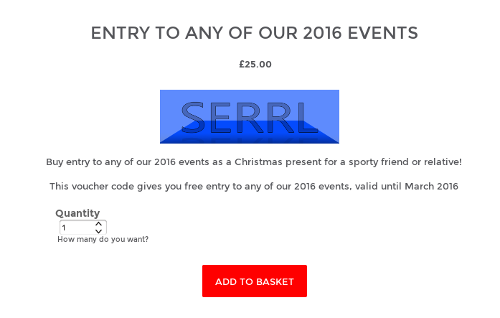 Normally you'd set this up as a 'free entry' voucher (i.e. set the discount to 100%, or the 'flat fee' to zero). 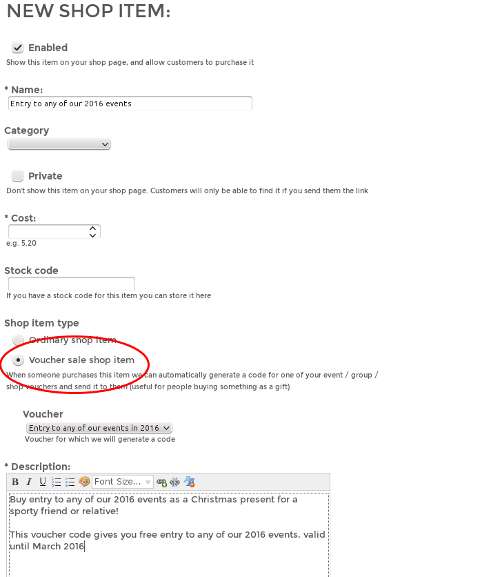 Make sure the expiry date is plenty of time in the future, in order to give purchasers time to use the voucher, and add whichever events you want to include in the promotion. The code doesn't matter too much, as we'll automatically generate a new code for each purchaser.